Sprouts Farmers Market is "sprouting up" all over the country. From California to Pennsylvania, this natural food market offers inexpensive, organic, non-GMO food, vitamins and health care products, and beer and wine to health-conscious consumers. The store also offers catering and home delivery services. Sprouts believes in "healthy living for less." Sprouts Farmers Market is a publicly traded American natural grocery chain with more than 200 stores across the country. The store appeals to mainstream shoppers who wish to eat healthy food for less money. 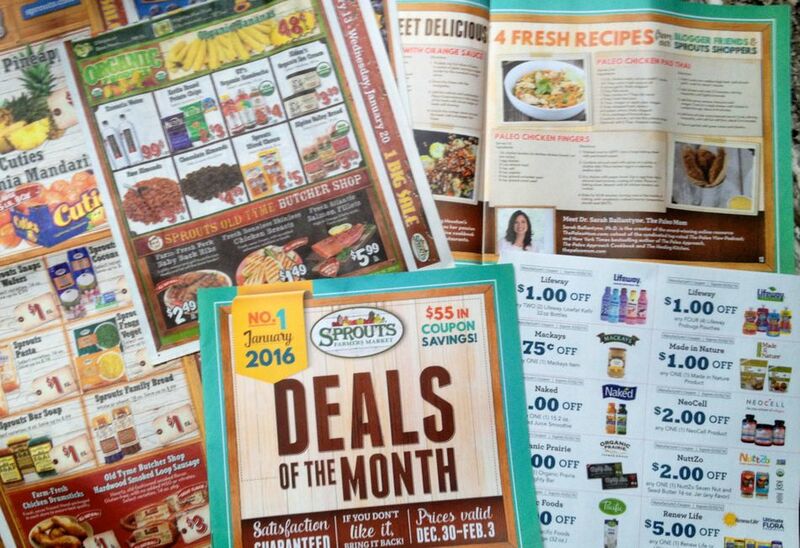 It offers weekly deals and coupons on fresh natural and organic foods, and nonperishable items, which attract new as well as repeat customers. If you shop at Trader Joe's or Whole Foods, you know that foods branded by the store (i.e., private label brands) are good and often much cheaper than name brands. The Sprouts brand spans from frozen meals to packaged cookies at very reasonable prices. Part of the Sprouts Farmers Market mission includes an "unwavering commitment to providing customers with affordable, healthy foods." Offering house brands of popular packaged food items at less cost upholds this commitment. Sprouts sells reasonably priced sandwiches and salads, and freshly made deli food. For example, a large sandwich may cost you $4.99, while at other stores the average price for a sandwich may be $8 to $10. The Sprouts market in Oakland, California, has a huge section of refrigerated bakery items, many of them gluten-free. The refrigerated case is located at the front of the store, making it easy for customer to locate these products. Sprouts sells cheap coffee that people can sample at the store before bringing a pound or two home. Also, even if you don't purchase a package of their coffee, the store provides an opportunity to get a good, cheap cup of coffee. Sprouts carries a brand of naturally farmed meat from animals such as elk, wild boar, and kangaroo. Also, near the meat section, Sprouts displays a rack of paleo and other cookbooks to inspire healthy eating. The market has a variety of bins and barrels containing nuts, grains, and other items that can be purchased cheaply in bulk. This is a very attractive, low-priced deal much like the bargain bulk items offered at Costco or BJs. Healthy snacks, such as a variety of meat and fish jerkies, popular yogurts, chocolate, kombuchas, krauts, and other packaged snacks, are offered to customers. On the store's grand opening day, the store butcher was on hand to proudly answer questions, and staff sampled a variety of house-made sausages, which were priced at $3.99 per pound. If you're curious about a fruit or vegetable that you've never tasted, Sprouts will let you try a free sample. Thus, customers will be more willing to buy additional new food and will be assured the quality is up to their standards. The store's mission is to motivate people to want to eat well and also make it possible for people with lower incomes to be able to eat well. In addition, Sprouts donates unsold food to a local food bank. Signs of the store's slogan "Every Meal Is a Choice" are featured near the checkout aisles. Sprouts Farmers Market introduces, educates, and provides affordable organic and natural food to mainstream shoppers. Rare meats, an assortment of pre-packaged fruits and vegetables, and gluten-free bakery goods are just some of the items offered at this market. The store runs the distribution network and works with vendors and growers to achieve volume that will lead to lower prices.